VATICAN CITY (AP) -- In a move seen as unprecedented, Pope Francis has effectively stripped U.S. prelate Theodore McCarrick of his cardinal's title following allegations of sexual abuse, including one involving an 11-year-old boy. The Vatican announced Saturday that Francis ordered McCarrick to conduct a "life of prayer and penance" before a church trial is held. "Basically, truth always prevails," said James, who lives in Virginia. "Thankfully, everybody in today's world is more understanding of the harm done by individual priests, and now we can start to heal." Two dioceses in New Jersey, Newark, and Metuchen, say they have settled two of three complaints of misconduct by McCarrick toward adults. 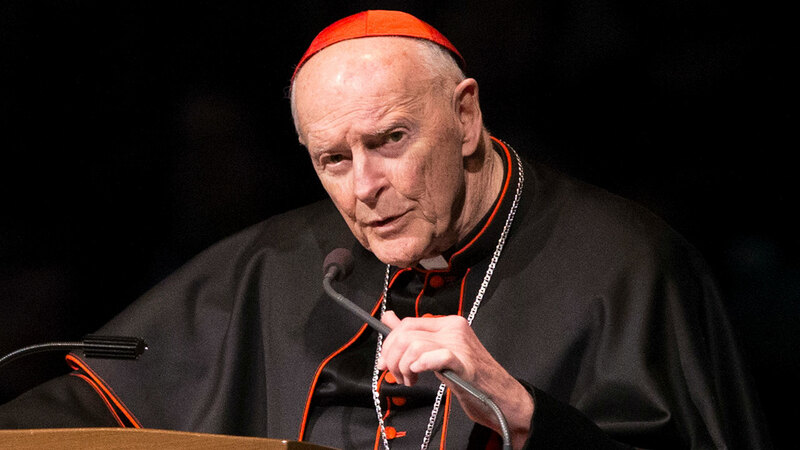 McCarrick rose steadily and swiftly up the U.S. church's ranks, from auxiliary bishop in New York City to bishop in Metuchen, to archbishop of Newark, and then to Archbishop of Washington, D.C.